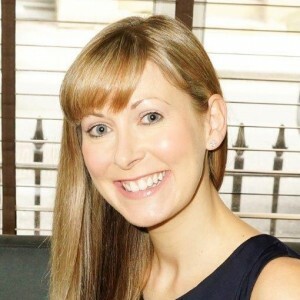 After building extensive experience through working for both national and independent recruitment agencies in the Leeds area, Jo Holdsworth established JHR in January 2005. Jo felt there was a gap in the market for a commercial recruitment agency to offer a more consultative approach, supporting clients and candidates by offering a tailored and personalised service. From the outset, Jo was determined that JHR would offer a premium level of service, focusing specifically on her proven areas of expertise, such as office recruitment, sales, property, legal, Marketing and call centres. Within our specialist sectors we have a database of over 15,000 Yorkshire based candidates all registered face to face with a JHR consultant, this ensures that we have an unrivalled candidate database, many of whom are not on the job boards. In order to stand out from other recruitment agencies, Jo has taken a committed approach to ensure that the JHR team is made up of talented, intelligent people who share the same long term aspirations and passion for excellence as herself. Our combined recruitment experience within the Yorkshire job market is in excess of 60 years – ensuring that you get access to true recruitment experts. In our 14 years of operation, we’ve retained and expanded our client base through industry recommendations, referrals and business development. By listening to, understanding and responding to each client’s needs, and providing exceptional standards of customer and candidate care, JHR has built a platform for success that brings tangible benefits for all. “The dedication and commitment demonstrated by the JHR team makes me extremely proud. We have a talented, experienced team in place that’s passionate about finding the right role for the right person. We are driven to provide an unrivalled service to both clients and candidates, and ensure we offer full support and advice – and we promise to never over promise! The key goal of Jo Holdsworth Recruitment is the development of long term relationships. We consult with clients and candidates from start to finish ensuring that we build and develop strong successful partnerships. Clients and candidates can trust that we will listen to their needs, provide consultation and deliver on our promises. We will always be honest, act with integrity and provide a thoroughly professional service to both our clients and candidates alike. We will be proactive in asking for feedback and will strive to continuously improve the overall customer experience. We’re committed to continually improving our services. We believe that small, incremental developments within our business add up to major improvements over time leading to a better experience for our clients, candidates and employees. We will work cohesively as a team to ensure that we always deliver a high level of service. We are passionate about what we do, always strive to be the best and share the same values and vision.